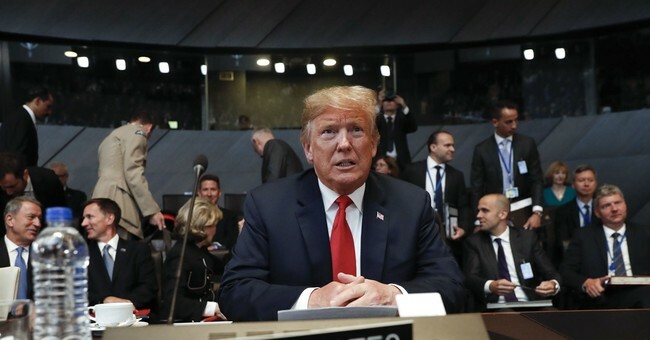 During the recent NATO summit meeting, a rumbustious Donald Trump tore off a thin scab of niceties to reveal a deep and old NATO wound -- one that has predated Trump by nearly 30 years and goes back to the end of the Cold War. In an era when the Soviet Union and the Warsaw Pact are now ancient history, everyone praises NATO as "indispensable" and "essential" to Western solidarity and European security. But few feel any need to explain how and why that could still be so. Does NATO still protect the West? Does it prevent destructive European feuding? Does it ensure the postwar global order of free trade, commerce, travel and communications? And is NATO -- or the United States and its leadership of NATO -- the real reason there has not been a World War III or a return to global tribalism and chaos? Ostensibly, NATO still protects Europe from Vladimir Putin's Russia, just as it once kept the Soviet Red Army out of West Germany. But over the objections of its Baltic neighbors and the Ukraine, Germany just cut a gas pipeline deal with Russia -- the purported threat for which its needs U.S.-subsidized security. Germany started and lost two world wars -- and was defeated due in part to the late entrance of the United States. The unification of Germany brought millions of East Germans into the west, many of them raised under a communist system that blamed the U.S. for the world's ills. Germany demands that the United States continue to be the largest funder of NATO and yet has an unfavorable view of America -- and an increasingly favorable view of NATO's supposed common threat, Russia. This is the NATO that Trump inherited and that he tried to shake up with his customary art-of-the-deal antics. Trump may be loud and uncouth, but his argument that NATO countries need to pay more money for their shared alliance's self-defense is sound. If successful, it would lead to a stronger NATO.